These Crown Joules Crown Boxers are a new addition to the popular Joules Boxer Shorts collection and with their fabulous crown print they'll ensure you're stylish with your jeans both on and off! These Joules Boxers have quirky 'Crown Joules' branding on the waistband and are packaged in a handy bag to make them great as a gift and for throwing in the suitcase for a weekend away. 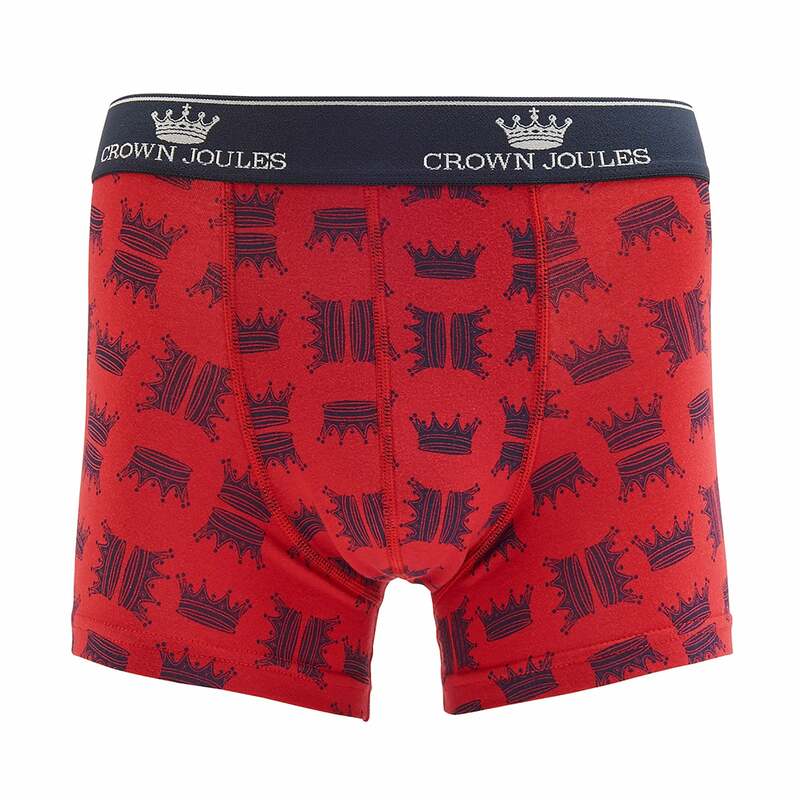 So go on, treat yourself to these fun Crown Joules Crown Boxers and be the envy of all your mates!